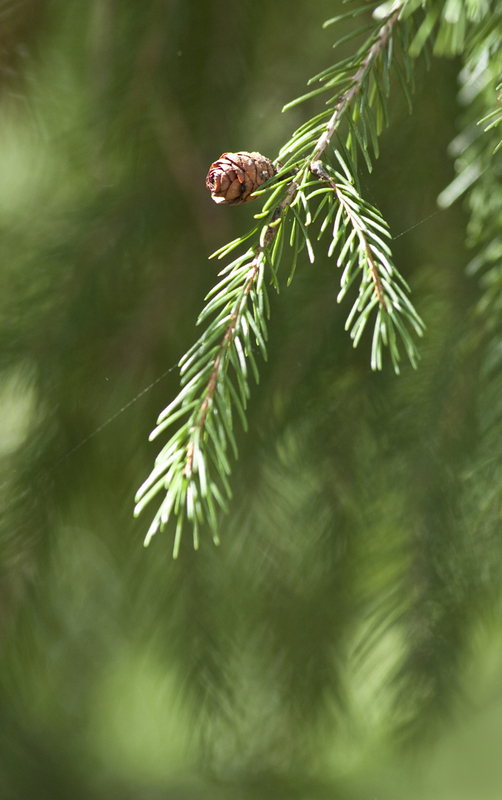 Strolling in some local woods I found this little pine cone that was hanging in clear space. The nearest needles were far behind it and easily blurred slightly. If you try to find repeating elements in your images, it gives a strong continuity of theme.